Why Hello! 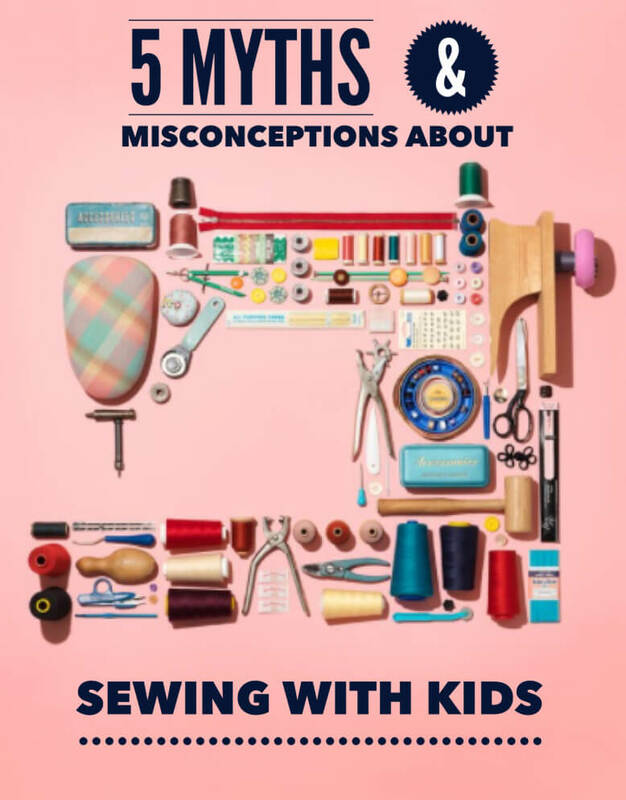 I wanted to take a minute to share some myths I’ve debunked over the years about teaching kids to SEW!! That’s right y’all, little hands are mighty. Here we go! I totally get that folks are worried about little kiddos mixing with sewing machines. Sewing machines are just that, machines. They are probably the most complicated machine a 7 year old has operated solo. I get it! That’s why we are always on the lookout to protect “their sweet little fingers” as I’ve called them a hundred times over. We teach the kids about how the machine works, we show them where to safely keep their hands while sewing. We go over safety and we review it often! It’s truly amazing what a young kid can master, it blows me away in each and every class I teach. We cover all sorts of technique with our sewing students. Some of it IS too complicated in the beginning. We keep at it and with time, all of our students make improvements. They learn about seam allowance, where their stitches should go on the fabric, and when they accomplish that first perfect corner or curved edge they’re so proud! Some things take a lot of time, I know I’m still learning, but making those improvements is oh so satisfying! It surprises some folks that even our littlest students work on real sewing machines. There are a few key features that make for a good beginner sewing machine. Look for a machine with a top loading bobbin, these machines seem to have fewer problems with “bobbin blunders”! Get a machine with speed control! It’s so helpful to have some control on speed because it can be pretty hard to control speed only with the pressure sensitive foot pedal. Look for a machine that does not sew with the presser foot up. This saves soooo many frustrating situations with what we call “thread boogers”, sorry not sorry about that term! Finally, go for a more intermediate level machine. The cute machines that sew felt are great but your kid will grow out of them before you know it. Check out the Eversewn Sparrow 25 on Amazon. It’s a quality and the perfect beginner machine, and happens to be my favorite machine we use in class! We looooove to make a cute project! Kids walk away from a sewing session with far more than an adorable handmade project. Sewing enforces STEAM principles (Science, Technology, Engineering, Arts, & Math) Kids refine practical math skills, get practice with problem solving, apply critical thinking skills, practice patience, and so much more. It’s pretty rad! In a world of technology and busy schedules there is a growing love of sewing. The “maker” culture is thriving. People like to make things with their hands; to be unique, to feel productive, just because they can. It’s a beautiful thing! We try to pay close attention to the details to make sewing fun, especially for our first timers. I want everyone’s first experience with sewing to be a positive one. Cute fabrics + trendy projects + fun teachers + creative freedom = Sewing Happiness!! So there ya have it! Sewing is new to a lot of folks but it has been around forever. We’re here to share our love of sewing with any little maker that’s interested!